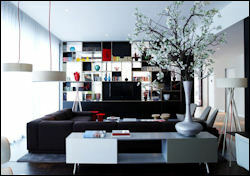 A new concept: trendy 4 star luxury hotel with budget rates. City centre location (walking distance from train stations). 24/7 food and beverage outlet. with the assistance of citizenM Ambassadors. telephone, hairdryer, safe, designer toiletries, etc. Free WiFi. Free movies on demand. Room for 2 people from £33 per night. Situated directly opposite the Botanic Gardens. 5 minutes walk from Glasgow University & Kelvingrove Art Gallery. 15 minutes from Glasgow Airport. Terrace Bar and Lounge with views of the Botanic Gardens. Steak restaurant. Free entry to The SPA at the sister Hilton Glasgow hotel. Choice of 96 bedrooms including deluxe rooms. Room only rates from £45 per person. Centrally situated 2 minutes walk from George Square. Easy access to shops, restaurants, theatres and trains. 5 minutes walk from Glasgow's largest street market. Only 10 minutes walk to the shops of the Buchanan Galleries. Arts Grill with modern bistro food in stylish, contemporary surroundings. Bar and 24 hour room service. telephone, hairdryer, trouser press, Internet access. Upgrades available to executive club rooms. WiFi. Laundry service. Parking available. Rooms from £27 per person (room only rates). in red sandstone and set in beautifully landscaped gardens. Friendly, family-run establishment with genuine hospitality. Situated on the south side of Glasgow. 3 miles from the city centre. 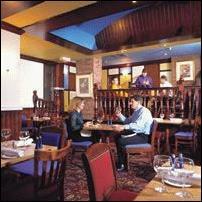 15 minutes drive from Glasgow International Airport. Victorian elegance with tartan carpets & wood panelling. Lounge bar serving bar meals. Conference facilities for 200. Available for weddings. or superior bedrooms with super king sized beds. 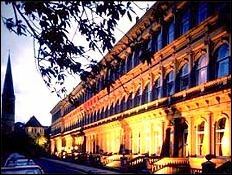 B&B prices from £45 per person per night. 18th century farmhouse on 240 acre farm with panoramic views & forest walks. Friendly hosts offering real Scottish hospitality. Cumbernauld 5 miles. Falkirk 8 miles. Stirling 15 miles. Glasgow 20 miles. Lanark 25 miles. Edinburgh 30 miles. Scottish Tourist Board 4 Star Gold award. Finalists in the Scottish Hospitality Awards 2018. Winner of TripAdvisor Certificate of Service Excellence 2015. Welcome Host & Scotlands Best Awards. 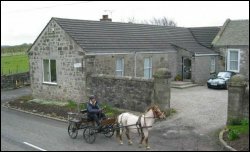 Member of Scotland's Best B&Bs. Natural Cooking of Scotland Certificate. 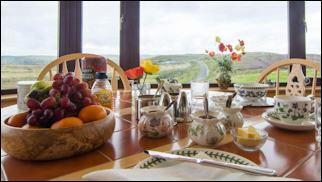 Recommended by the Best Bed and Breakfast Guide for the British Isles. radio, silent fridge, tea/coffee, shortbread. 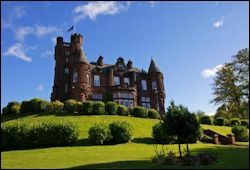 Members include B&Bs in Edinburgh and Linlithgow. by Alan Forbes and Roger Smith.